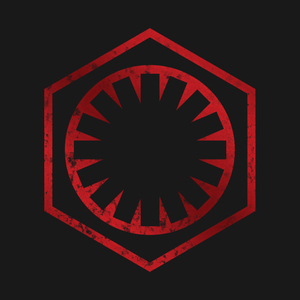 Stretching from the edges of the galaxy towards the core in a long march of subjugation and conquest, the First Order's empire has grown rapidly from its inception only a decade ago to spread the reach and influence of the Supreme Leader across the known galaxy. Each part of the First Order has its role to play, and each is on the lookout for talented individuals to join its ranks. The First Order is led by Sieger Ren, a mysterious and shadowy figure that arose shortly after the fall of the Imperial Remnant. This self-imposed Supreme Leader has the complete faith and fanatical devotion of the First Order in his quest for conquest and empire. The call has been issued. The banners have been raised. All Imperials are welcomed under the flag of the Red Maw. Administering the First Order's empire in the name of the Supreme Leader, the Government consists of the Grand Moff, her cabinet, and a structure of planetary and system governance, as well as more independent vassal states like Panatha and the Atrisian Commonwealth. In the Supreme Leader's government, you'll build bridges, build cities, and build empires. Join us and rule the galaxy! Whether commanding fleets of fearsome Star Destroyers, piloting advanced TIE Fighters, or donning the classic white armor of the First Order Stormtrooper, service to the Supreme Leader's cause is a good way to travel, see the galaxy, and make your mark! Under the umbrella of the First Order Government are the spymasters and infochants of the First Order Security Bureau, experts in lies, secrets, and espionage. We seek professionals and those experienced within the games of deceit to join up. Register your will and begin your spy games now! Secretive, mysterious and fanatically loyal to the Supreme Leader are the Knights of Ren and Sieger's own Praetorians. Their goals and aims are unknown outside of their order itself. The Force is calling, will you let it in? Bow to the Supreme Leader and be part of something bigger. 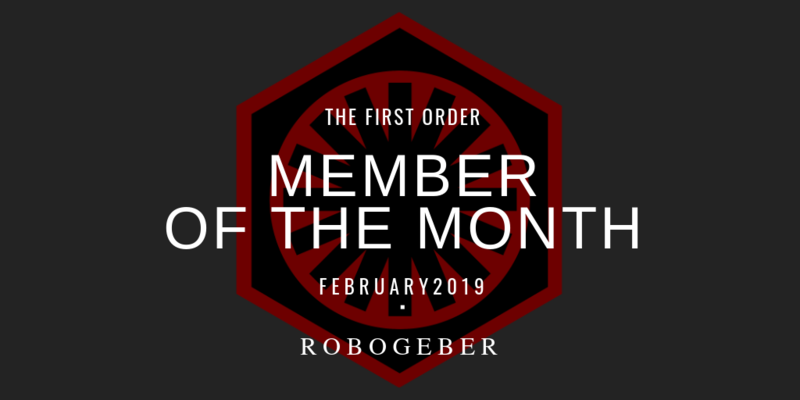 Please join me in congratulating @Robogeber for being the Member of the Month for February 2019! Carlyle has been with us for a long time and has been a strong presence in all our major campaigns, from Kaeshana and the First Order/Galactic Alliance War to recent activity surges to pull us back from recall notices to our recent speed-dominion of the Terminus Hex, where he contributed a significant portion of the required posts for the faction to initiate a Rebellion of the hex despite a heavy OOC working schedule. Carlyle is always ready to offer a hand and work on improving our navy and is an all-around Good Fellow™ to have on our side (taste in memes notwithstanding). Thanks for all you do, Carlyle, and congratulations again on being February First Order Member of the Month. Hello, everyone, and welcome to 2019! 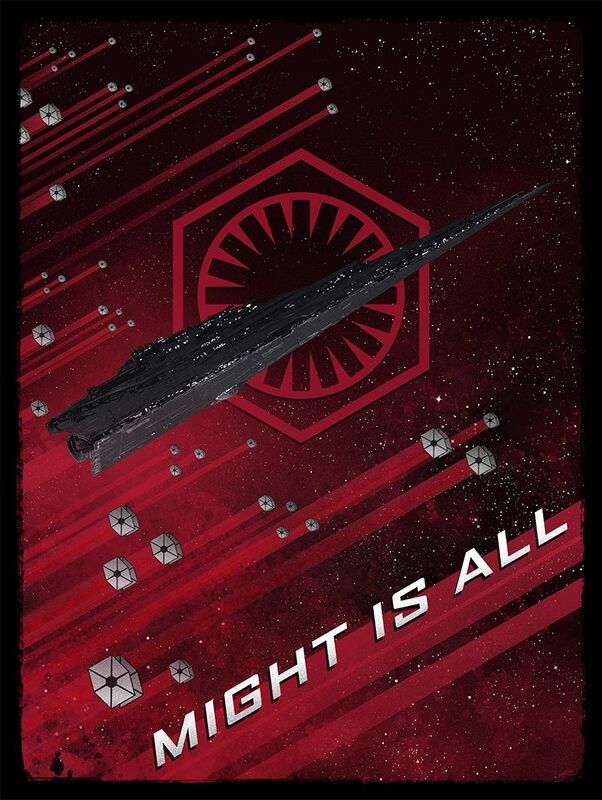 It's a brand new year and a brand new opportunity for the First Order to put its stamp on the galaxy. Stay tuned for further updates on the direction of our faction and new story arcs coming from your admin team. In the interim, I wanted to take a quick moment to reintroduce myself and let you all know that I will be taking on member services and outreach for the First Order. I have some plans that I'd like to share with you, as well as some things I'd like you to do for me to help improve our faction. So without further fuss, please read on for the things I plan to do for the First Order starting today. It has been a year since the last news update, and it was a long and arduous one at that. Allies and enemies alike have fallen in this period, but the First Order has reigned supreme in the end. 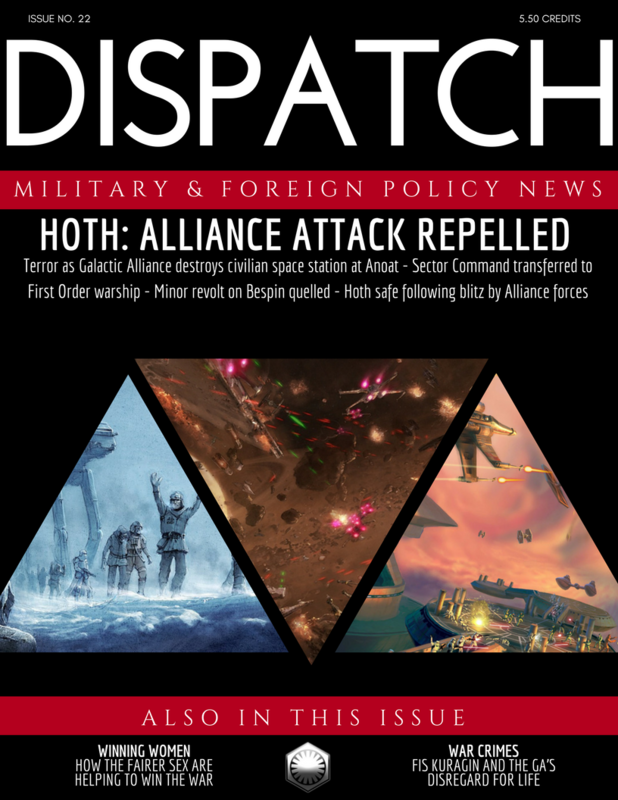 After a multitude of invasions, skirmishes, and faction threads - our friends in the Galactic Alliance have finally decided to admit defeat in the adversity like their predecessors before them. The board-wide Great Galactic War is over, and with it are many changes that will affect the First Order and beyond. Greetings my fellow Imperials! It's been a couple months since our last update, and while typically I'd prefer to do these updates quarterly on schedule, I think we have a unique opportunity at the present to implement a few changes and update the Faction as to what we as a staff have had in the works. So without further ado, I'll go ahead and jump right in! Just a little note to let you all know we are working on an in-character victory celebration for your victory at Hoth and in the larger war. In the meantime, please enjoy this piece of tasteful propaganda.